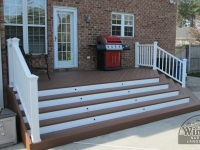 When it comes to making positive changes to your property, there are few things that can provide you with the same level of value, curb appeal, and sheer function that woodworking projects can, and two of the most popular of these projects include the construction of new decks and fences in the Virginia Beach area. 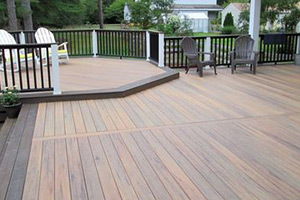 There are a number of wonderful benefits that new decking and fencing can have on your property, whether you are looking to increase the security and privacy of your property with a brand new wooden fence, or you are looking to create a wonderful out door hangout area for you and your family with a brand new wooden deck. No matter what your goal is for your landscape, you want to be sure that you have the assistance of an experienced professional on hand to help you get the quality results from your new project that you can count on to last you for a long time to come. 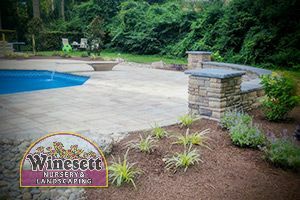 Here at Winesett Nursery & Landscaping, our team of professionals can deliver you the quality landscaping results you need to keep your property looking its best at all times. When you make the call to our team of landscaping professionals, you can rest assured that you are getting the assistance of a team of experienced landscaping pros that are eager to help you make your landscaping dreams a reality. 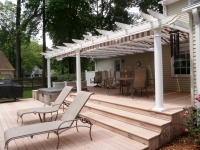 A new fence or a new custom deck can go a long way in helping to boost the value and visual appeal of your home while still providing you and your family with a functional upgrade to the way you use and enjoy your property. 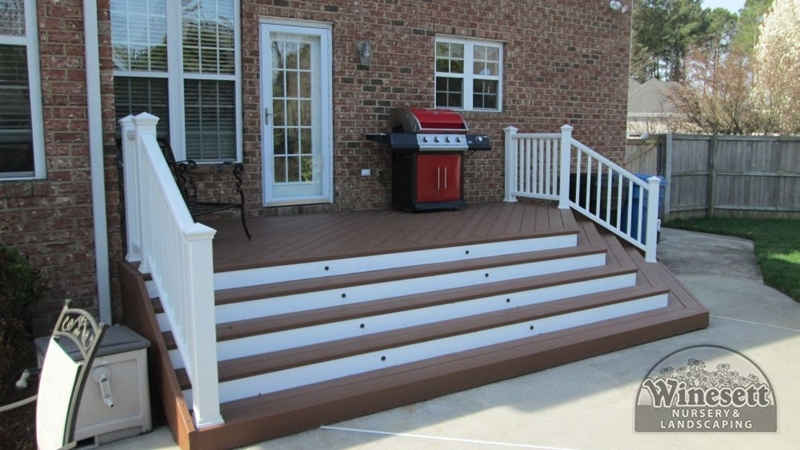 If you have any questions about our full line of high quality deck and fence building services for the Virginia Beach and Chesapeake areas, or if you would like to schedule an appointment for consultation with one of our specialists, give us a call today. Our team of landscaping services experts are always standing by and would be more than happy to assist you in any way we can. If you are like most homeowners with a pool, you get a lot of use from your pool deck area. 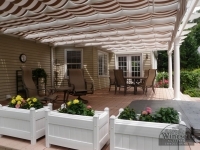 Whether you make use of it frequently to host backyard cookouts, or you and the family just enjoy sitting out, catching some sun, and relaxing together, it is important to make sure that you keep your pool deck in good shape, as the weather can really start to cause a great deal of wear on it over time. When your pool deck has started to show signs of damage, or has just started to look worn out over the years, you need to make the call to our team of landscaping professionals and let us provide you with the high quality pool deck renovation services you need to make your pool deck area look like new once more. 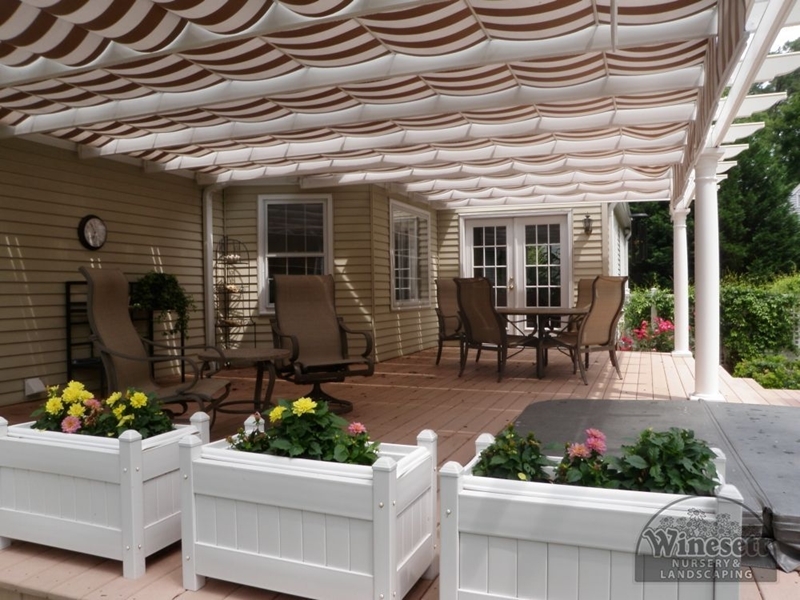 For quality decks and fences in the Virginia Beach and Chesapeake areas, please call Winesett Nursery and Landscaping at 757-426-7880 or complete our online request form.